Remember postcards? Those crazy 3x5 pieces of cardboard that featured beach scenes or fat guys in Speedos with such witty captions as “Floridaaaaahhhhhhh!” Before you could instantly send a 10-second picture of yourself with a fruity drink to anyone in the world, postcards were how you made them jealous of your international escapades. Sometimes, if you got really crazy, you’d write something on the back, generally in a humblebrag vein. In 1997, we sent 3 billion of them. 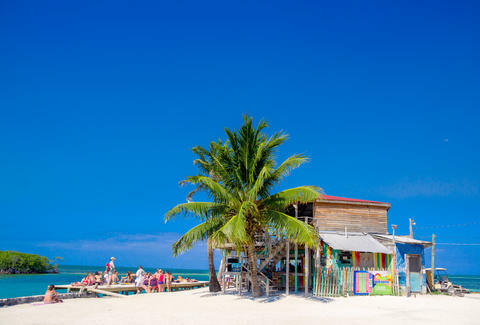 Last year that number dropped to 838 million, and the Belize Tourism Board thinks that’s pretty sad. So in celebration of World Post Day (yes, there’s a World Post Day) they’re getting people back in the habit of sending these personalized hellos. 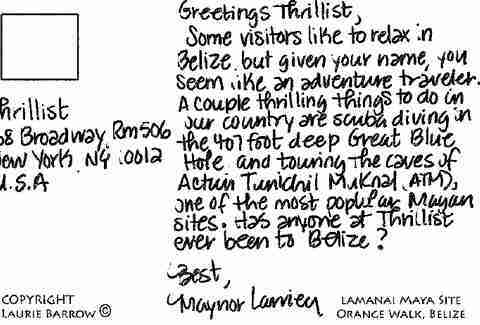 From now until November 9th, every single person who sends the Belize Tourism Board a hand-written postcard from their hometown will get one sent back from a local Belizean. And one lucky person will win a trip for two to Belize. Yep, a free trip to a tropical paradise and all you’ve gotta do is find a tourism-friendly postcard of Downtown Fresno. ... with a return address, of course. Then just sit back and wait to learn some fun facts about a country you just Googled to see where it was. And if you happen to win, don’t forget to mail us an enticing picture and witty caption from whatever beach you end up on. Matt Meltzer is a staff writer with Thrillist. See all his postcard-worthy pictures on Instagram @meltrez1.